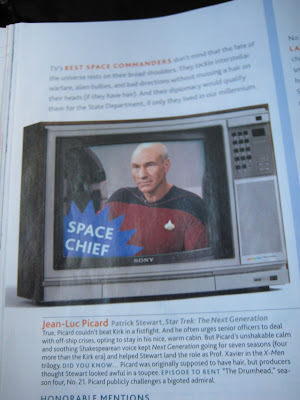 Yes, Southwest Airline's Spirit magazine named Jean-Luc Picard best space commander. Just so it doesn't sound too random, they did a "Best Of TV" survey. 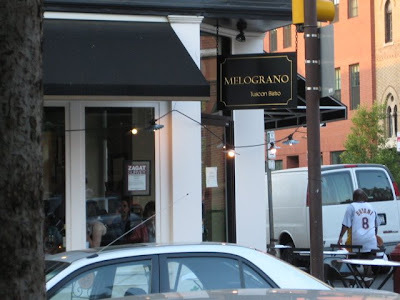 Our first night, we stopped by Melograno, a little BYOB in the Fitler Square area. I don't believe they have a website, but other websites describe them as a Tuscan-style restaurant. 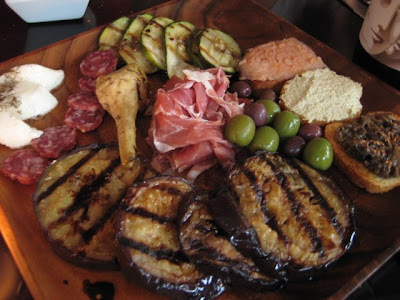 I enjoyed our visit, which started with the antipasto rustico, a platter with crostini topped with assorted pates (ours were eggplant, salmon, and parmesan), grilled vegetables, slices of prosciutto, salami, fresh mozzarella, and olives. The salami was fantastic, as was the salmon crostini. Everything else was very good, except for the mozzarella, which was flavorless. The olives were extremely fresh and were milder than usual. The grilled artichoke heart was a nice touch. 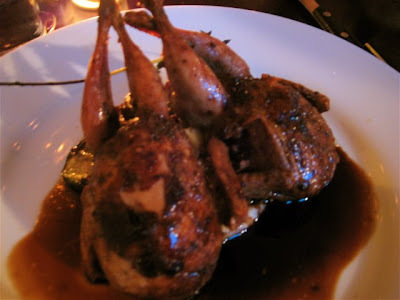 As my entree, I chose the quaglie in agrodolce, broiled semi-boneless quail filled with figs and walnuts. It's served with a pomegrante and balsamic reduction on a bed of potato puree and grilled zucchini. The quail was excellent and the filling delicious, but the sauce was a bit too sweet and the potatoes too buttery. 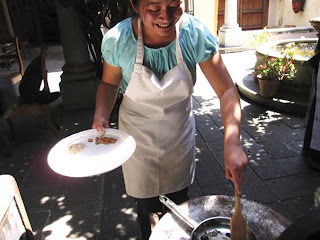 A good dish, but those minor details definitely affected the overall blending of flavors. Overall, an excellent meal. The space is a bit cramped, but the atmosphere is lively and service is fabulous. We brought the 2005 Rhone-style red from Adelaida, which was a nice accompaniment. 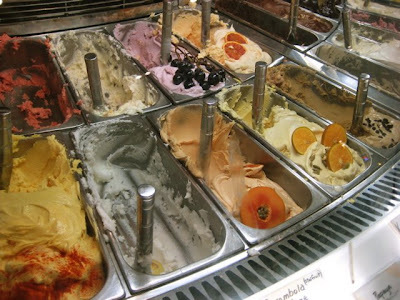 To top off our meal, we stopped by Capogiro, which needs to open a branch in San Diego. My combination of 1 scoop dark chocolate with 1 scoop hazelnut made it taste like Ferrero Rocher ice cream. Great way to start off the trip! Nice Choices for your Philadelphia visit. Melograno is my one of my favorite dining spots in the city and you can't go wrong with Capogiro in this heat. If you're looking for an upscale treat while you're here, consider Lacroix at the Rittenhouse for their tasting menu and wine pairings. It's the best.